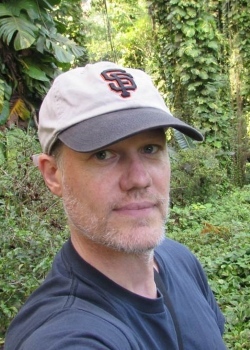 Dr. Johnson has been studying lemur population and behavioral ecology in Madagascar since 1995. He has focused on behavioral, ecological, and genetic components of a brown lemur (Eulemur spp.) hybrid zone, as well as understanding how environmental change affects lemur populations and communities in the southeastern rain forests. Since 2012, Dr. Johnson has served as the Deputy Vice-Chair of the IUCN Primate Specialist Group for Madagascar, helping to assess risk status for all lemur species and to develop a comprehensive conservation strategy. He is also a member of the Board of Advisors for the Centre ValBio and project advisor to the Lemur Conservation Network. In 2015, Dr. Johnson was named Peak Scholar in Entrepreneurship, Innovation, and Knowledge Engagement by the University of Calgary, in recognition of lemur conservation and community development activities.